Long-Term-Care Needs | Grenda Group, LLC. We want to show appreciation to our clients by offering an exciting referral program. 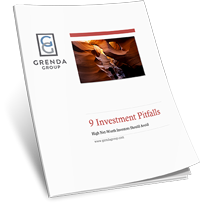 Investment advisory services offered through Grenda Group LLC, a registered investment adviser. This site is published for residents of the United States only. Investment Advisor Representatives may only conduct business with residents of the states and jurisdictions in which they are properly registered. Therefore, a response to a request for information may be delayed until appropriate registration is obtained or exemption from registration is determined. Not all of services referenced on this site are available in every state and through every advisor listed. For additional information, please contact Grenda Group at 716-896-3232 or ggrenda@grendagroup.com. Grenda Group does not offer legal or tax advice. Please consult the appropriate professional regarding your individual circumstance.